Update: Congratulations to Birdiebee on winning this giveaway! Oh joy, it’s Friday! We have more than one reason to be excited about today. Other than the awesome fact that the weekend is coming, this weekend is extra special because Jess and I are heading for our U.K. vacation. So you’ll know why our blog post will be a bit sparse in the coming weeks. Be sure to tune in to our Instagram account to follow our England and Scotland shennanigans. Sweepstakes begins Friday, October 2, 2015, at 12:00 a.m. EST, and closes on Saturday, October 11, 2015, at 12:00 a.m. EST. I’m most excited to try the Divine Goddess Luminizer! The True Hue Blush in Euphoria. The Divine Goddess Luminizer in Venus. I am most excited to try the TrueHue blush in Euphoria. I LOVE pigmented blush, and this looks like a good one!! I’m excited to try the True Hue Blush in Euphoria. Thanks so much. What a great giveaway one more time!!!! I have never tried any Buxom products and would love too. Normally lip products are my favorite but I’m finding with these it’s a tie between the lip polish and that pretty blush & brush that I’m wanting to get my hands on. Thanks so much for this opportunity. I hope you have a great trip. I really want to try the True Hue Blush! I’m excited to try the True Hue™ Blush Brush! The Divine Goddess Luminizer! I have been looking for a great luminizer! I am most excited to try True Hue™ Blush Brush. I’m excited about the Lip Polish. I would like to try the eye shadow first. I really want to try my hand at ‘strobing’ with the Divine Goddess Luminizer in Venus – looks like it would be perfect. The blush in Euphoria is gorgeous too! The blush looks like my kinda color. I’m excited to try the eyeshadow! I really like the look of the blush brush! Good brushes make such a difference. I WOULD IKE THE FULL ON LIP POLISH LOVE IT!!!!! That Poodle Eyeshadow looks stunning. Definitely want to wear that! I’m most excited about the True Hue™ Blush in Euphoria. The lip polish. It likes like a color that would work with many skin tones. The lip polish. It looks like it would work on different skin tones. True Hue Blush in Euphoria looks so amazing love to try using it! I’m excited to try the Buxom Luminizer! I am really excited to try that luminizer! Im most exited for the True Hue Blush Brush. I would just love to try them all, but the lip color in the giveaway is awesome. The Divine Goddess Luminizer sounds very tempting! They all look fantastic; but I would really like to try the Divine Goddess Luminizer. I am excited about the Full-On™ Lip Polish in Clara. I am excited to try the Lip Polishes!! I’m excited about the Buxom Stay There Eyeshadow in Poodle, the color is gorgeous! I am most excited to try the True Hue Blush Brush. I like the lip polish! I’m most excited to try the blush. I’m a blush junkie! Really need some new makeup. Would love to try this line. I am most excited to try the true hue blush. i’d love to try their eyeshadow! Most excited to try the Divine Goddess Luminizer! I’m most excited about the divine goddess luminizer! From the pictures other buyers posted, it looks amazing. The cute eyeshadow in poodle. This whole set looks incredible but if I had to pick one I would say I’m most excited about the Divine Goddess Luminizer in Venus! I would love to try the lumizer! I loveBuxom products! Full-On™ Lip Polish in Clara is what I would most like to try and thank you for the chance to win!!!!!! I would love to try the Divine Goddess Luminizer in Venus! I definitly want to try the Blush it’s hard to find a perfect tone! Im most excited to try out the blush its just so pretty. I hope im a winner because its quite a giveaway. They eyeshadow! I am just crazy about it! I’m most excited to try the Divine Goddess Luminizer in Venus. I am excited about the Buxom Lip Polish. I am a sucker for a new lip product. I’m most excited to try the divine goddess luminizer. I would so love to try the whole set, especially the Divine Goddess Luminizer!! Gorgeous!! I am excited about the True Hue Blush as I don’t have any blush product. I love their lipsticks but that’s all I’ve tried so I’m excited to try each of the other products. I am excited to try Full on Lip Polish, thanks for the chance to win. I’m most excited to try the eyeshadow. Thank you for the opportunity! Most excited for the Divine Goddess Luminizer for sure! Perfect for a dewy fall look! I am the most excited to try the Buxom Stay There Eyeshadow in Poodle! Divine Goddess Luminizer is what I want to try first. Buxom Stay There Eyeshadow in Poodle!! I’d most like to try the Luminizer. I am most excited about the Divine Goddess Luminizer in Venus! The Full-On™ Lip Polish in Clara is beautiful, definitely want. I’m excited to try the Divine Goddess Luminizer in Venus! The True Hue™ Blush Brush looks luscious. I really want to try the Buxom Stay There Eyeshadow in Poodle. My skin needs the Luminizer which is the product that I would be most excited to use. I think I am most excited to try the blush. Thanks for the giveaway! All looks great but most excited about the lip polish! I would love to try them all but most excited about the Divine Goddess Luminizer in Venus! I have really been wanting to try some of their lip products so the Lip Polish in Clara looks great! I would most like to try the Full-On Lip Polish in Clara. Looks pretty! kristiedonelson(at)gmail(dot)com Thank you. The devine goddess luminizer! The fall and winter turn me so pale, and I have to have some sort of brightener to make me not look so ghostly! What a great giveaway! Thanks lady for sharing! I’d love to try the Full On gloss. I’m excited to try the blush and blush brush because I need both of them. I’d love to try the luminizer! I really excited to try Buxom Stay There Eyeshadow in Poodle.. I would love to try the luminizer first. I’m most excited to try the Lip Polish in Clara! Thanks for this opportunity! The True Hue Blush in Euphoria looks gorgeous! I would ♥ to try Divine Goddess Luminizer in Venus! I want the lip polish. It is so pretty. I’d love to try the lip polish! I would love to try Buxom Stay-There Eye Shadow in Poodle. I’d like to try the lip polish. So excited to try The Divine Goddess Luminizer in Venus. I am most excited to try the luminizer. I’m excited for the True Hue™ Blush Brush. I really need a new brush for my face. The stay there eyeshadow in poodle! I would love to try all of their make up, I am obsessed with make up and have never tried Buxom. I would be excited to try the luminizer. A good glow is hard to beat. I would love to try the True Hue Blush. I’m on the hunt for the perfect blush! I would love to try the Divine Goddess luminizer! I’m excited to try the True Hue Blush in Euphoria. The Lip Polish sounds perfect.thanks so very much for sharing. All of them! But honestly, I’m most excited to try the True Hue Blush in Euphoria because I don’t have much blush. Super excited about trying all of it, especially the luminizer! I definitely want to try the blush. I’m excited to try the eyeshadows. I LOVE LOVE LOVE all the shades! Probably the eye shadow! It’s a gorgeous color and I love the name of it haha! 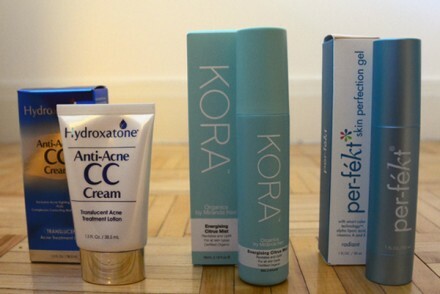 hi, i am already a fan of ‘buxom’ cosmetics and your blog as well, but don’t have any of the above. the luminizer looks amaaaazing! I’ve used the Buxom Lip gloss in the past and loved it, so I’m most excited about that. I’m excited to try the Full On Lip Polish (Clara)! I am most excited about the “Full On” Lip Polish. The Lip Polish looks like a great color for me! True Hue Blush in Euphoria is what I’m excited to try, because I have a hard time finding blush I like. The blush looks amazing! What a pretty color!! I am most excited to try the Full-On™ Lip Polish in Clara. I would have to say that Divine Goddess Luminizer. Sounds amazing! Thanks again for the chance. I would be pretty stoked to try the all but really would love to try the Divine Goddess Luminizer in Venus. Everything looks wonderful! I want to try it all! But, I’m especially excited about the True Hue Blush! The Euphoria shade looks perfect for me! :) Thanks for the chance! I am most excited to try the True Hue Blush in Euphoria. I most want to try the Divine Goddess Luminizer in Venus. I would love to try the Buxom Stay There Eyeshadow . 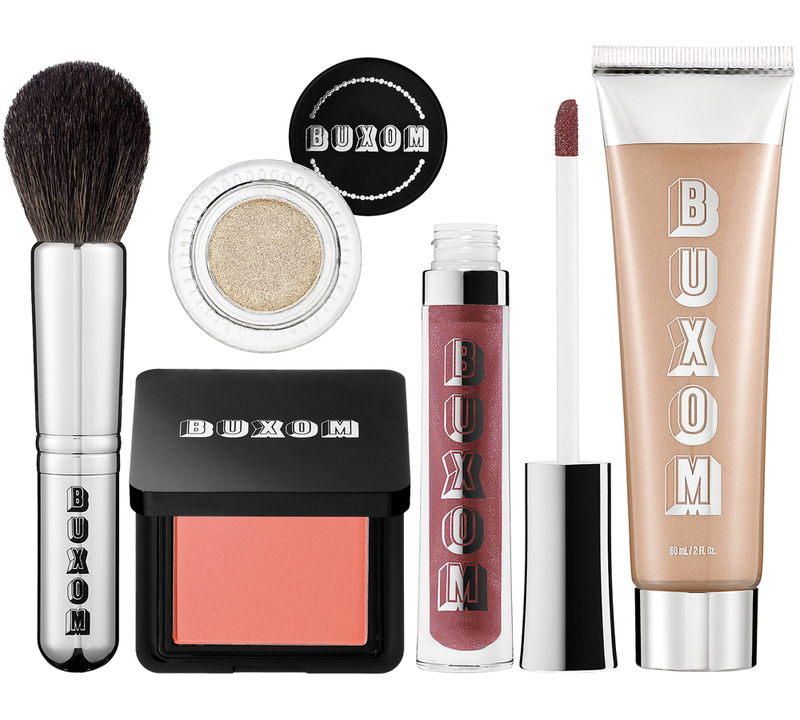 I am most excited to try the ♥ Buxom Stay There Eyeshadow in Poodle. My wife would love the Buxom Stay There Eyeshadow in Poodle. I have never tried a Buxom product before! I’m excited about all of them.. especially the Luminizer. I am excited to try the Divine Goddess Luminizer. It is so fashion and romantic,want to be dress,thank you for share. This is something out of comfort zone but worth trying.